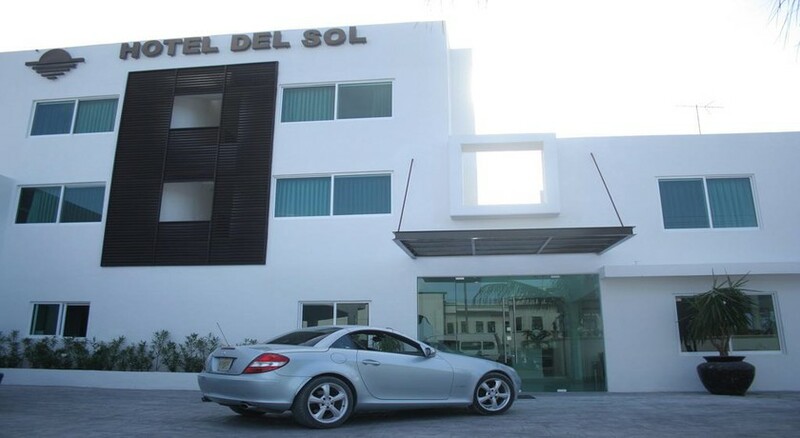 Hotel Del Sol Cancun is set in an ideal location for those who wish to explore this exotic resort in Mexico. No less than a minute's walk from the beachfront, this hotel has diving, snorkelling and sailing excursions on its doorstep – a paradise for water lovers. 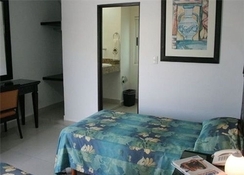 All rooms at Hotel Del Sol Cancun feature air conditioning and satellite TV. The hotel's restaurant and bar also offer you quick yet delicious dining options, plus a continental breakfast offered each morning. 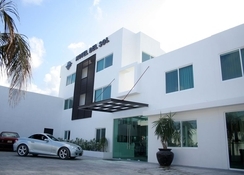 This cosy hotel often serves as a central hub for travellers, since it is situated only 10 minutes from popular Downtown Cancun, and close by to the Gran Puerto Pier, Puerto Cancun Golf Course and more. This venue is a typical European styled hotel, featuring all the characteristics of a business class space, with comfortable rooms. The hotel is well suited for business travellers and families alike. Situated in the heart of Cancun, Hotel Del Sol Cancun is less than 3km from Gran Puerto Pier, El Meco Archeological Site and Séptimo Día Adventist Church. 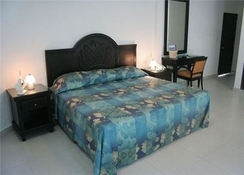 Puerto Cancun Golf Course and Mercado 23 are also within 5km from here, making the hotel a great base for exploration. Lively nightclub Coco Bongo is only 7km from the hotel for those wanting to party, while during the day the Cancun Underwater Museum (at the same distance) excites with its enchanting statues. For guests arriving by car there is free parking available. All rooms at the hotel provide amenities including room service, satellite television, air conditioner, phone, WiFi, boardroom and computers for guest use. 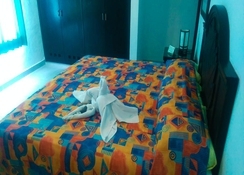 The small hotel offers a total of 22 rooms to guests and they can choose between Suites with two queen beds; Standard Rooms, with one double or two single beds and Junior Suites with one queen bed offering ocean view. The hotel offers continental breakfast at an additional charge. The hotel also offers in-room breakfast for guests who prefer to dine in the comfort of their suite. Relax and unwind at the hotel’s bar with its assortment of alcoholic beverages, house wines and beers. You can also discover a host of other lively bars and restaurants nearby like Marina Las Jaibas, Fish Market Mar-Bella Raw Bar Grill and more nearby. There are several popular tourist attractions close by to the hotel. Guests can visit the Cancun Bullfight Ring, Cancun Culture Centre, Plaza Las Americas, Beto Avila Stadium and more. 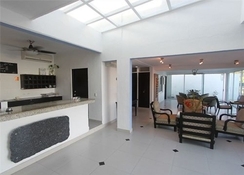 The property is also close to landmarks like Andres Quintana Roo Stadium, The City Nightclub, Coco Bongo, Cancun Underwater Museum, La Isla Shopping Mall and Kukulcan Plaza. Guests can also relax in the solarium that the hotel offers.